Discussion in 'Explorer - Ranger Interior Accessories' started by diesel_s, June 24, 2011.
always between North Ga and East Texas. What year are you looking to install? 3rd gen? 4th? 5th? Any of them can probably be used if there is space to accommodate, it would just be a matter of fabricating a mounting bracket for the seats to bolt to and then re-wiring. I doubt any of them are going to be direct bolt-on replacements. You should just find the seats you like best, take measurements to make sure they'd fit, and if you think you have the fabrication skills, start to design an adapter bracket to get them to bolt into your truck. Actually sounds like a fun project. 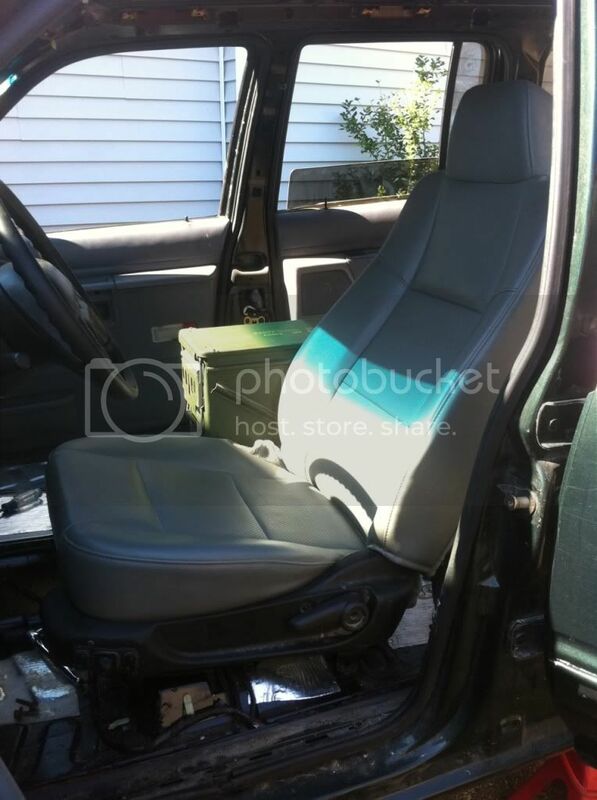 im adapting my stock brackets to some 2010 ranger leather seats right now. they were original 60/40 but i cut the driver down. super comfortable. I'm in the same boat and am going to go with some Corbeau seats and brackets. I don't have the fab skills to make my own brackets, and their seats look cool and have brackets available. The downside is it's expensive.